Heir property is found in many parts of the American South and in African-American neighborhoods in some cities. The term pertains to real estate, the owner of which dies without a will (the term for this is dying "intestate"), and further, the family does not take the estate through probate court to settle the title to the real estate. This phenomenon also is called generational property or successional homes. People who aren't familiar with this situation often wonder why it occurs. Mostly this happens in lower-income families, where there is fear of or ignorance of the legal system and simply a lack of funds to pay the legal fees involved. While all may go smoothly with no real negative consequences at first, eventually it is likely to become a neighborhood and community problem. In other words, one or more family members may live in and maintain the heir property for some time or even for a couple of generations. The issue arises somewhere down the line where the heir who takes good care of the property dies or is incapacitated, and perhaps his or her children don't care about the property, live far from it, don't know of it, or can't afford repairs. This site isn't legal advice, as we say on every page, but we do our best to explain legal concepts as they impact communities. In the case of heir property, the heirs own the land but there is no "clear title," or you will hear the expression that the title is clouded. First and foremost, there is no concept in American law of family ownership. An individual or a named group of individuals own real estate. So if you don't have clear title, you can't convey a clear title to someone else if you wanted to sell the property. Next, it will be impossible to borrow money to repair the property or make room additions. Second mortgages wouldn't be obtainable either. Government housing assistance will be unavailable, even if you otherwise would qualify. Someone acting as a caretaker and occupant of an heir property probably can't obtain insurance, and if they do, the error might be caught when they attempt to collect on a claim. This is why people who are part owner of heir property should consult an attorney and attempt to make the situation right, before there are even more heirs in successive generations, who may or may not even know each other. As this situation is allowed to continue for years and years, the family gathering required to resolve the situation is likely to become larger and larger. Or worse, you might have to hire a mediator. If the folks involved are afraid of attorneys or the legal and governmental system in general, social service agencies need to refer such clients to legal services or perhaps one trusted attorney from the community can be found. If there is a geographic concentration of heir property, you can see that after several generations, home maintenance problems become more and more likely. Eventually the family actually will give up, because the housing decline has become so severe. This is a truly unfortunate loss of a previous generation's investment in real estate. After Hurricane Katrina caused levee failure in New Orleans, the heir property issue became a strong focus in Louisiana because families couldn't sell, collect insurance, or rebuild. The legislature passed what is known as Act 81 in 2009 and Act 323 in 2011 to make it less expensive and time-consuming to clear title to lower-value properties. If you live and work in other states, please ask your legislators to consider addressing this problem by simplifying the probate process as much as possible. If you work with low-income individuals, encourage them to make wills that will be considered valid in their state, even if they have to use a legal clinic, online kit, or some such. Even if that individual makes a will, it's important to keep an updated list of the names, relationships, and contact information of all the heirs. So communities, scale up to address your heir property issue, because you can't afford to allow the legal complexities to multiply for people who are not wealthy in the first place. You can sponsor events where attorneys who are willing to help low-income families free (pro bono) come to explain what is involved in avoiding a situation where grandma's house falls down because no one is able to take responsibility. Work with your local bar association to plan this event. The heir property question also figures into trying to clear up foreclosures. Sometimes a mortgage slipped through with title problems undetected until the real estate landed in the hands of a bank. 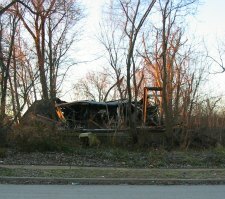 Like many issues impacting low-income households, this is a potential downward spiral in which community poverty may truly lead to the severe issues of losing the use of a home that becomes too dilapidated, and then not even being able to sell the land. Abandoned homes are bad news for every community.